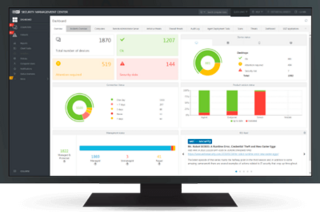 Performs agentless anti-malware scanning of machines using VMware infrastructure or another virtualization solution, which keeps your devices secured in all environments, including NSX and vShield platforms. 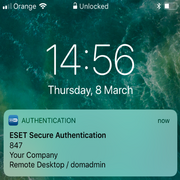 Automatic deployment of new ESET Virtualization Security appliances to hosts currently connected to NSX Manager. It allows automatic protection of added virtual hosts, and virtualized workloads. This drastically reduces the time needed for security deployment. A comprehensive hardware detection algorithm is used to determine the identity of the machine based on its hardware. This allows automated re-imaging and cloning of non-persistent hardware environments. Non-persistent hardware environments typically require manual interaction from an IT department or create reporting and visibility nightmares. After deploying a master image to computers already present in ESET Security Management Center, computers will continue reporting to the previous instance despite a complete re-image of the system. Machines that after the end of a work shift return back to their initial state will not cause duplicate machines and instead will be matched into one record. On deployment of non-persistent images, you can create an image that includes the agent, then whenever a new machine is created with another hardware fingerprint, it automatically will create new records in ESET Security Management Center. Supports Micro Segmentation and automatic task execution that automatically moves infected machines to a different micro segment, to prevent malware spread, and executes scanning. Once a machine is proven clean, it is returned to the original place. When VMs are moved from one host to a different one, where ESET Virtualization is installed, the VM keeps its security settings and remains them fully protected. ESET's scanning engine is well-known for its low system demands and high speed, thus leaving more resources for other applications and processes. In combination with the support of vMotion optimum performance from the whole virtual environment is ensured. 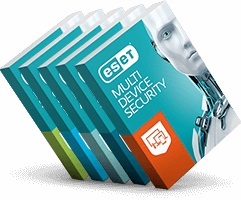 Once ESET Security Management Center – which comes as a virtual appliance too – is installed, ESET Virtualization Security appliances can be deployed on multiple hosts at once. The information displayed in ESET Security Management Center is the same as in the vCenter. It also simplifies deployment, as all components can be deployed using a tool which connects to the VMware vCenter. The solution is manageable via ESET Security Management Center. Physical and virtual machines are managed from a single point, allowing a role-based administration and a "look & see" web-console dashboard with drill-down capabilities that can be used to execute any action that is required.